Lock in a great price for Terra Maria Hotel – rated 8.7 by recent guests! Great air conditioning in a comfortable room. Had an elevator to second floor, helped with the luggage. Very friendly and helpful staff. Location in the middle of town yet away from the noisy party streets. Beautiful hotel, modern, clean, and in a great location. Konstantina and Ioanna were very welcoming and helpful....the best in any hotel I have ever stayed in! Highly recommended! Fabulous location and the friendliest and warmest welcome from the Terra Maria team. 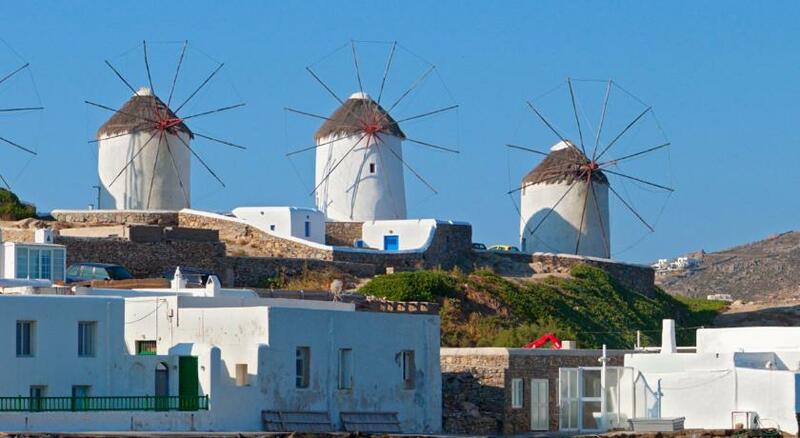 Always our first choice when staying in Mykonos. Excellent location, nice rooms, fully equipped. The best thing was recommendations from staff Konstantina, she pretty much made or trip the best. Amazing Joanna and convenience of the location. Would defo stay again here! This place is right in the heart of town, at the romantic narrow alleyways. It's hard to imagine a more central location. The hotel is set back off the street so our room was quiet. Everything was good. I'd day here again. 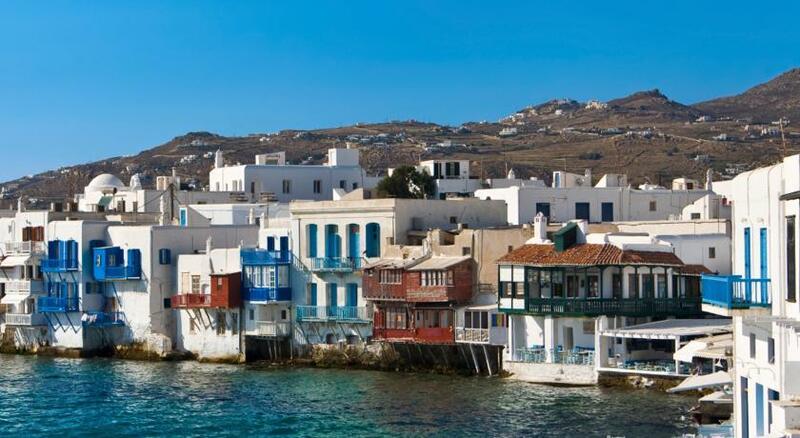 In Mykonos, you really don't want to be way out of town. Charming hotel and vide with amazing location in town ! 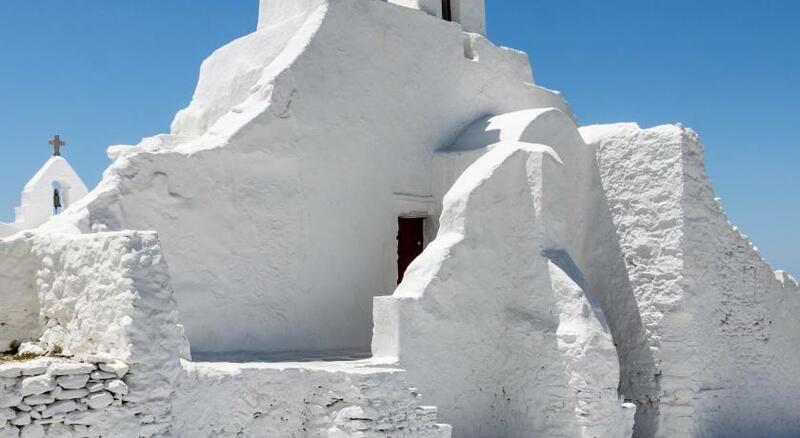 Terra Maria Hotel is in the exact center of the town of 'Chora', and offers tranquil environment and authentic Mykonian experience. Guests have the privilege of residing in a clean, friendly, calm environment, with lovely views of small white streets and a public garden. Terra Maria features interiors that are simple, clear with minimalist design with all the facilities one could ask for from an affordable and excellently located property. 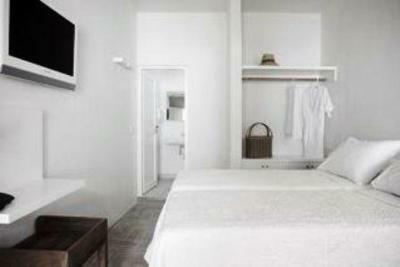 This hotel is ideal for people who want to experience living the Mykonian lifestyle. 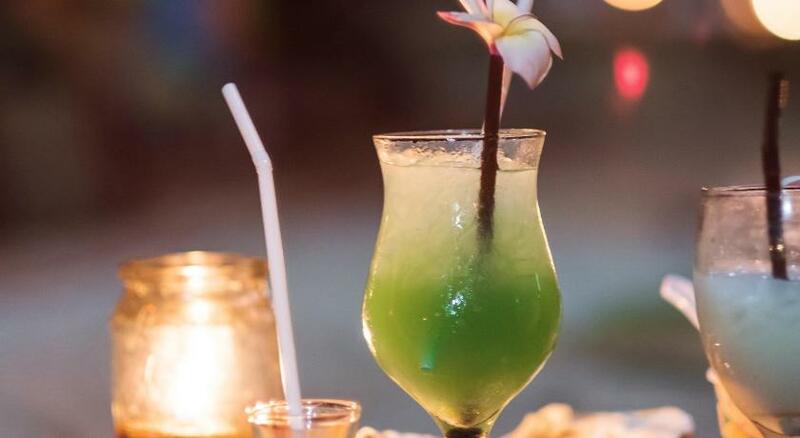 Guests can use the internet, spend quiet days in the library with a book and, in the evening, enjoy the world famous nightlife on the island. 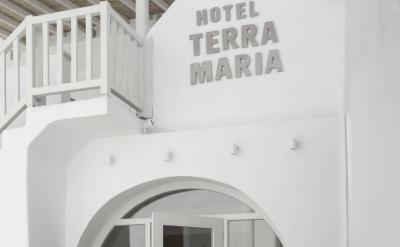 When would you like to stay at Terra Maria Hotel? Please note that some rooms of this type do not have a view. This air-conditioned room comes with a TV, mini bar and a bathroom with a hairdryer. An extra sofa bed can be added in this room type. On the first floor, this room opens to a balcony with view of the grounds. 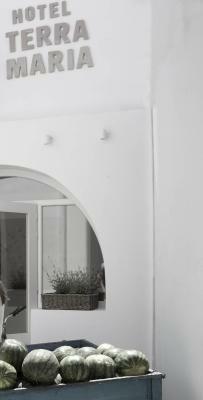 Terra Maria Hotel - A Boutque Hotel in the heart of Mykonos. A desire. An Island. 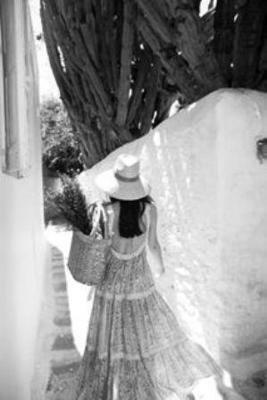 Mykonos, a place of refuge. Everyone is welcome. The neighborhood - located in the town center in quiet street, city life at country pace. Terra Maria: The key to an island. This is your shelter. 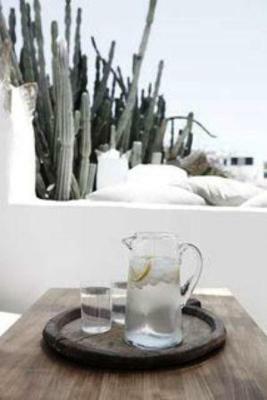 Terra Maria offers a retreat from the bustle of the city into a world of wellbeing. 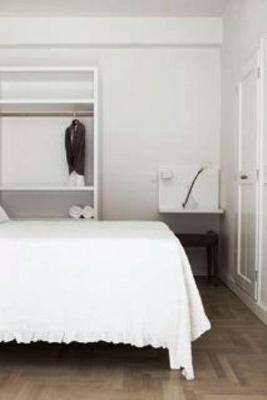 The landmark building has been transformed epitomizing "simplicity" that is simple and sophisticated with its architectural character, the Terra Maria Hotel plays up relaxed luxury on a firmly contemporary note. Open spaces, simple line, neutral colors elegantly emphasize the spirit and comfort in the rooms. The perfect stay ultimately comes down to "details" - the aesthetics and ends with the impeccable service. House Rules Terra Maria Hotel takes special requests – add in the next step! Terra Maria Hotel accepts these cards and reserves the right to temporarily hold an amount prior to arrival. Please note that the hotel can arrange transportation at extra charge. Clients who wish to make use of this service should contact the hotel prior to their arrival. Contact details can be found on the booking confirmation. Credit card holder should be present at check-in or a photocopy of the credit card used for the reservation must be presented. Please note that the hotel only has non-smoking rooms. The room is so clean & comfortable with a small balcony! The staff was so kind to explain all the famous tourist spots to the customers, well done! The staff was extremely friendly and helpful. Very good location. Nice, simple and stylish- Perfect. Coffee served was to weak and taste less. Small balcony. A little hard to find in the maze of town. Can’t fault this accomodation except it’s worth noting for other travelers that you can’t catch a taxi/ transport to the door of most accomodation in Mykonos town Center as the roads are so narrow. You will need to catch the water bus from the port then lug your suitcase across cobbled streets for about 5-10mins to get here. Room was small, though fine for a night. I appreciate Mykonos is much more expensive than neighbouring islands, but for the price I think breakfast could have been included. My boyfriend and I spent one night at Terra Maria. 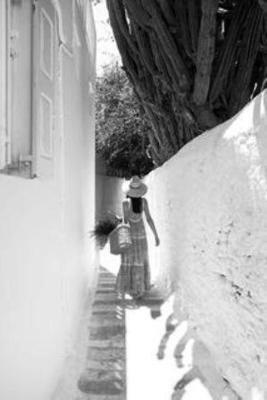 It’s positioned very well right in the heart of the winding white cobbled streets of Mykonos town. Staff were really helpful (helping us find a ferry on the day on the day of a ferry strike!) 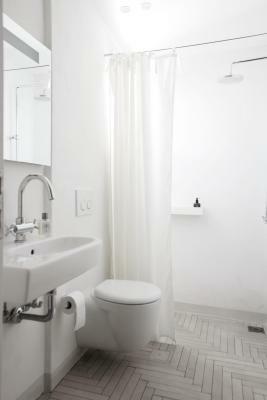 and the property was very clean with a boutique feel. The respect you receive from all staff. Nothing we didnt expect. it is small property in ideal location and thus the view was restricted from the room. 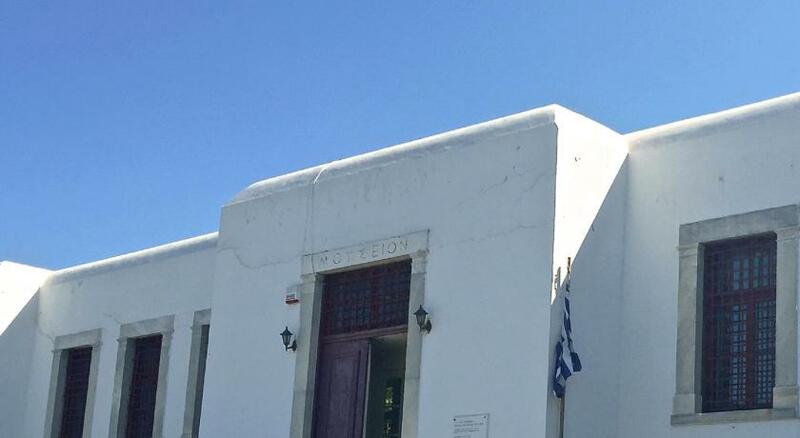 However, I am not complaining, who goes to Mykonos and stays in the room?! Superb Location - very well maintained hotel - and the staff are amazing. Both Constantina and Joanna went out of their way to help us and make us comfortable. very pleased looking forward to return their.